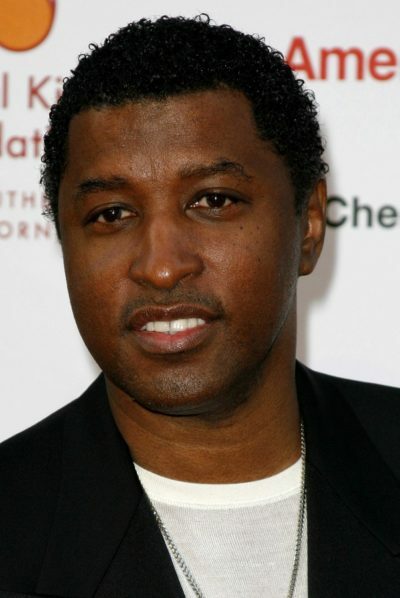 Babyface is an American singer, songwriter, and record producer. He is the son of Barbara Jean (O’Bannon) and Marvin Dallas Edmonds, Sr. He is married to back-up dancer Nicole “Nikki” Pantenburg. He has a daughter with Nicole, and two children with his former wife, producer and businessperson Tracey Edmonds. Babyface’s paternal grandfather was Ben Douglas Edwards (the son of Freeland Edmonds and Maggie Dickerson). Babyface’s paternal grandmother was Getsy Lee Vance (the daughter of Thomas Vance and Niecie). Babyface’s maternal grandfather was Herbert O’Bannon (the son of Nelson O’Bannon and Emma Lena Bradshaw). Babyface’s maternal grandmother was Lucille Hackley (the daughter of Joseph Lewis Hackley and Mary McCady). Ben was the son of Freeland Edmonds and Maggie Dickerson.